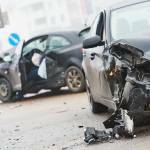 Are There Legal Options For Victims Of Hit-And-Run Car Accidents In California? In every state, if someone flees from or leaves the scene of a traffic accident – particularly an accident with one or more injuries – it will be treated as a serious crime. You are about to learn what happens – and what you will need to do – if another motorist crashes into your vehicle, injures you, and then flees from the accident scene. You will also learn what your legal rights are as the victim of a hit-and-run driver in California and what steps you will need to take to be reimbursed for your medical costs, lost wages, and other damages. 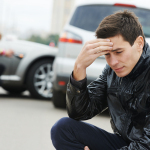 Most of the injured victims of negligent drivers will be able to claim compensation from that negligent driver. But if the at-fault driver in an accident flees the scene, how can you collect damages? WHY DO HIT-AND-RUN DRIVERS RUN? Hit-and-run drivers often run because they are guilty of some other crime. Obviously, you’ll hope that the police find the person who injured you. But sometimes, an injured accident victim will be left with no one to hold accountable for his or her injuries. If that happens to you here in southern California, where can you turn? After any injury, you must seek medical attention immediately. And if you’ve been injured by a negligent driver in southern California – whether or not you know that driver’s identity – your next priority will be speaking at once to an experienced Orange County personal injury attorney. WHEN AN ACCIDENT HAPPENS, WHAT STEPS SHOULD YOU TAKE? But that all comes after you’ve been injured. At the moment a traffic collision happens, you’ll need to think fast and be alert, because the other driver might try to run, and no attorney will be there to advise you. 1. Stop your vehicle immediately, and do what you can to not obstruct traffic. 2. Call medical help to the scene immediately if anyone has been injured. Even if you feel okay, submit to a medical exam at the crash site or within 24 hours of the collision. 4. Your 911 call should also summon the police. Be sure to ask the police officers how to obtain a copy of their accident report and when it will be available. 5. Make sure that all of the involved drivers exchange names and addresses, driver’s license, telephone, and vehicle registration numbers, and insurance company contact and policy information. 6. Stay at the scene until a police officer dismisses you. You will have to report the accident immediately to your insurance company, but do not make any formal statement to the company or sign any documents before you have consulted with your personal injury attorney. If you take these steps after a hit-and-run accident, you will be in a good position to submit an injury claim or to bring a personal injury lawsuit, and your injury lawyer will have the documents and evidence necessary to begin working on your behalf. 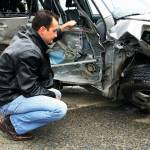 CAN YOUR AUTO INSURANCE COMPANY HELP AFTER A HIT-AND-RUN? As the injured victim in a hit-and-run accident, your auto insurance company may be able to help you. Some states require drivers to carry uninsured and underinsured motorist (UM/UIM) coverage, but the state of California makes that coverage optional. If your current auto insurance policy does not include UM/UIM coverage, purchasing that coverage promptly is a smart move. If the police can’t find the hit-and-run driver who injured you, you should be able to tap your UM/UIM insurance. UM/UIM protection allows you to submit a claim against your own insurance company and policy after a hit-and-run accident, up to the limit of your UM/UIM coverage. Personal Injury Protection (PIP) or Medical Payments (MedPay) coverage might also help if you have been injured by a hit-and-run driver. Some states like Florida have different laws, so in the event of an accident in Florida, a Florida personal injury attorney may be able to help. DOES ADDITIONAL COVERAGE ENSURE THAT YOU’LL BE COMPENSATED? Does having this additional coverage guarantee that you will be reimbursed for your medical costs if a hit-and-run driver injures you? Not necessarily. An auto insurance company may have no problem reimbursing you for some minor repairs on your vehicle, but if you intend to file a claim for serious or disabling injuries after a hit-and-run crash, be sure that you have an injury lawyer’s advice – first. Do not agree to an early settlement that fails to provide the full compensation you need. Also, make sure to not sign anything without your lawyer’s recommendation. This is because you might be waiving your right to take further legal action. If you have been injured by a hit-and-run driver in southern California, and if that driver can’t be identified, a personal injury attorney will help you file your injury claim with your insurance company and will negotiate with the company on your behalf. Negotiating serious injury claims with automobile insurance providers can be quite difficult, but a good personal injury attorney has substantial negotiating experience. As the recovering victim of a hit-and-run driver, you should be allowed to focus on regaining your health. You shouldn’t have to fight with an insurance company. Let your lawyer do the talking. WILL YOUR CASE REQUIRE A TRIAL? If no acceptable settlement is forthcoming from your insurance company, your accident attorney may recommend taking your case to trial. However, approximately ninety percent of all personal injury cases are eventually resolved out-of-court. When you recuperate from serious injuries, you should not have to deal with an unprofessional auto insurance company, and you should not place your health and your future at risk. A lawyer with substantial personal injury experience can mean the difference between receiving compensation and having your injury claim denied. Especially if you have been injured by a hit-and-run driver, and if that driver cannot be located or identified, you must have a personal injury lawyer’s advice and representation. That is your right.